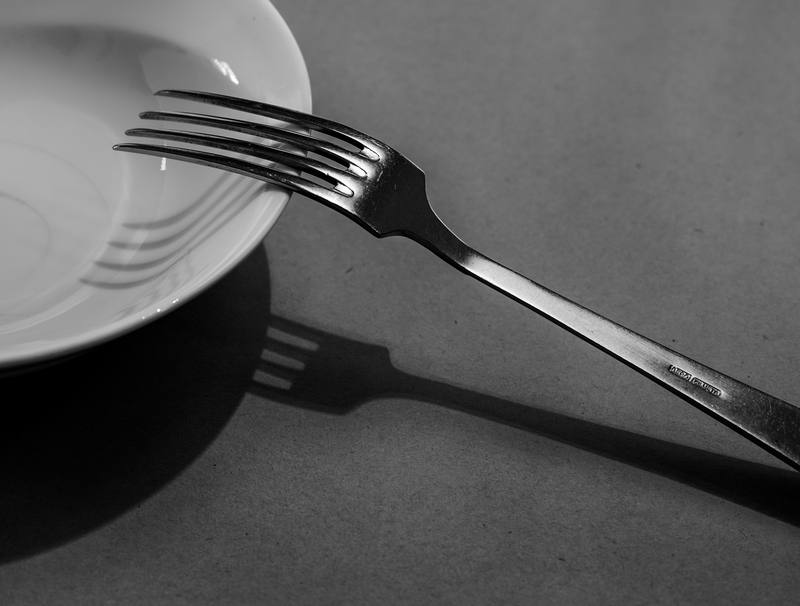 This is a remake of the world famous picture made by Andre Kertesz, The Fork. My bowl is just a little bit more shallow than the original so the shadow of the fork is not as deep. Also the fork itself is flat instead of round.